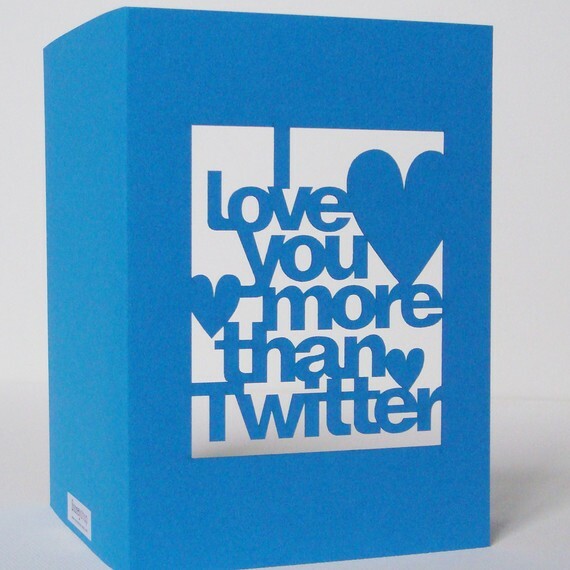 Collection of Creative and Cool Twitter Inspired Products from all over the world. 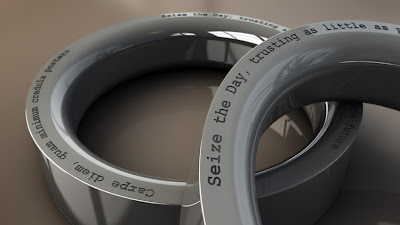 Tweet Ring: With this ring you can have your favorite tweet wrapped around your finger. 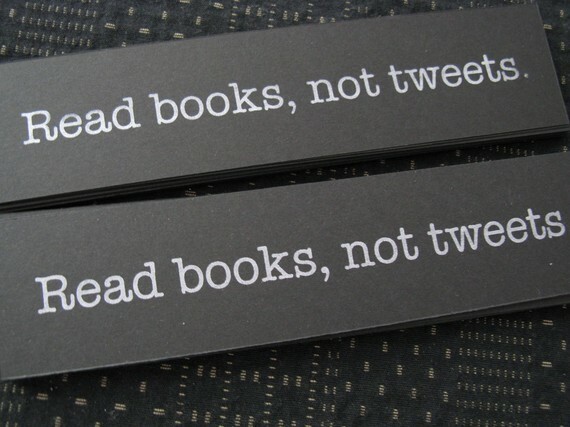 'Read books, not tweets' Bookmark: This bookmark is a gentle reminder that it's ok to unplug and just read a book. 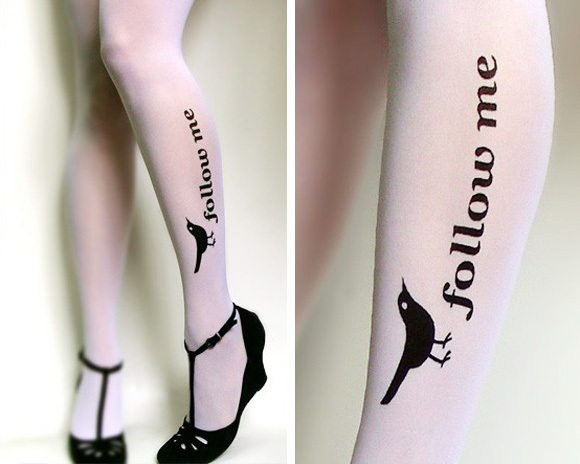 Follow Me Twitter Stockings: These tattoo thigh-high stockings are available at Etsy shop post. 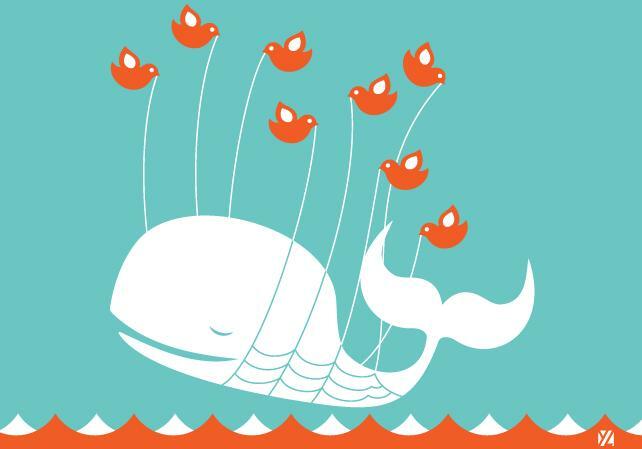 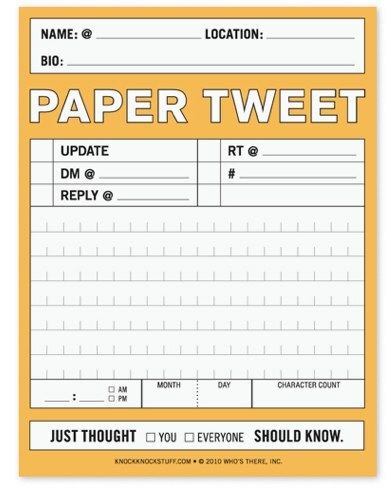 Twitter Mousepad: This mousepad is for those who cant be away from twitter. 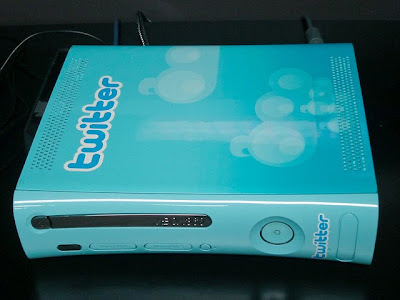 Twitter Xbox 360: This twitter themed Xbox 360 was spotted at the twitter offices. 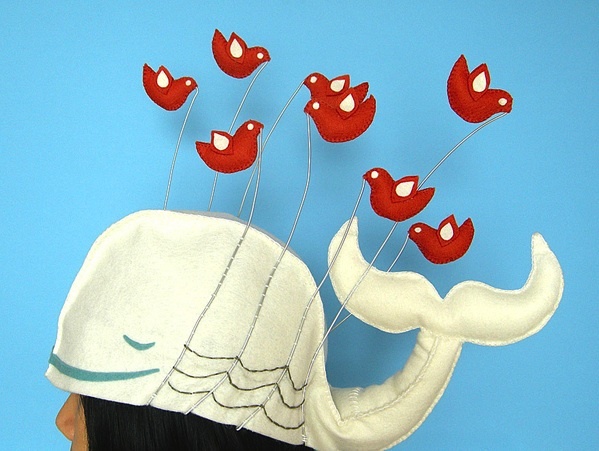 Failwhale Hat: These hats are handmade by Japanese illustrator Hine Mizushima. 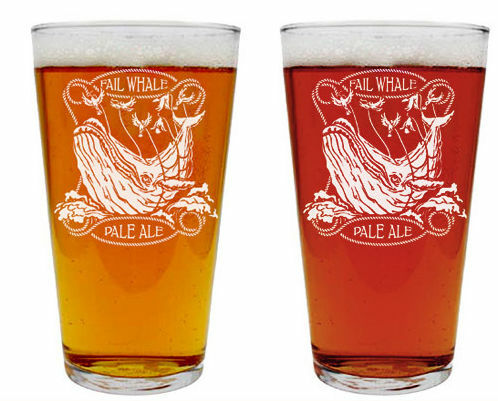 Failwhale Glass: Add a touch of class and mystique to the basest of beverages with this glass. 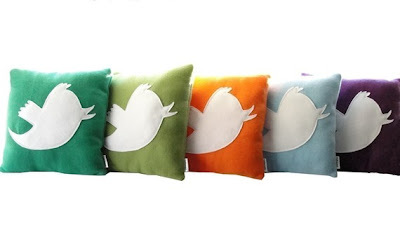 Anony Tweet Pillow: This 100% handcrafted, 12"x12" square pillow is perfect for those days when you just want to tweet whether you are on bed or near your computer. 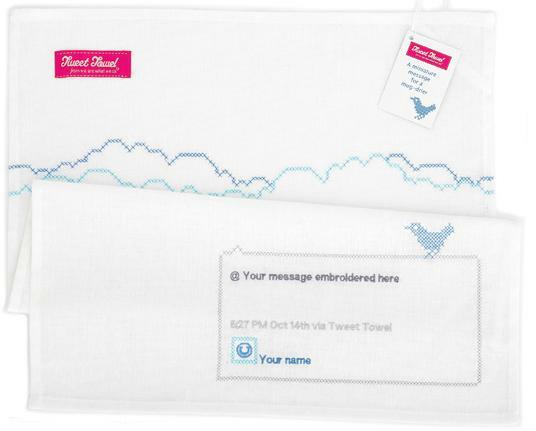 Tweet Towel: Its a tea towel with a personal miniature message embroidered onto it. Failwhale Wall Decal: These wall decals are easy to install, and can be removed and re-attached 100 times without loosing adhesive, or leaving a mark on your surfaces. 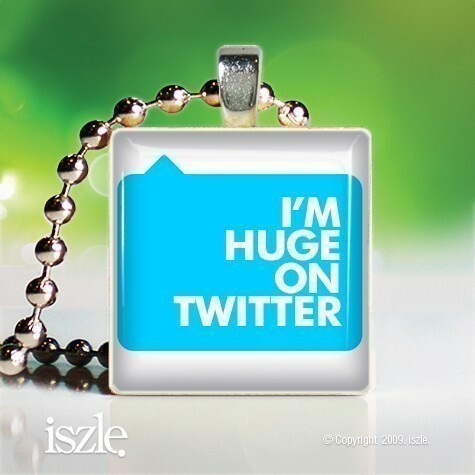 Twitter Necklace: Get your choice of @ sign or birdie necklace with your twitter handle on it. 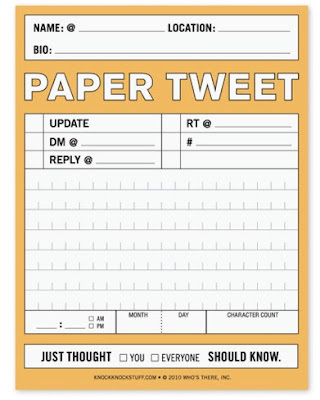 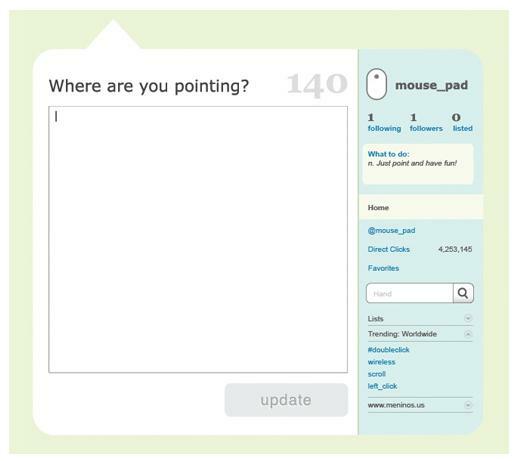 Twitter Card: This handmade greeting card is perfect for people who spend a lot of time on twitter. 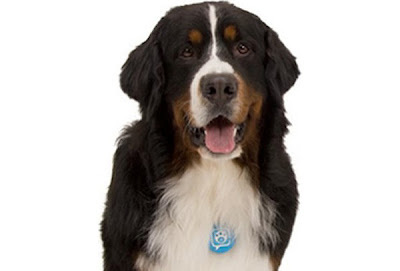 Canine Twitterer: It allows your pet to automatically send tweets that can then be posted to any social networking site. 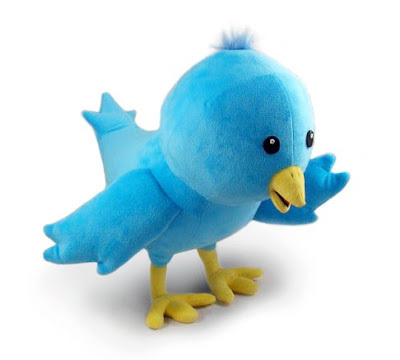 Plush Twitter Bird: "Twitter Bird Plush Toy is ready and willing to coddle you and your networking woes." 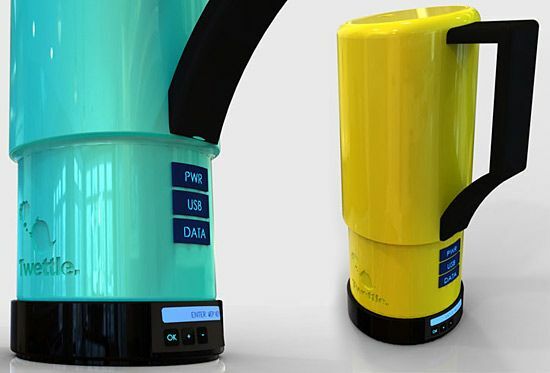 Twettle Teakettle: Developed by designer Ben Perman in collaboration with Murat Multu; it can connect to the Internet allowing one to access their tweets with a cup of morning tea. 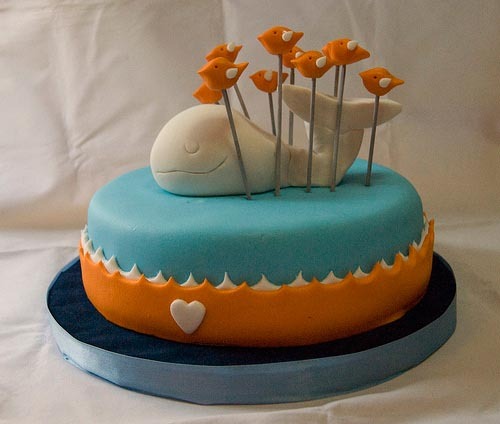 Failwhale Cake: Mariana Pugliese, a cake designer from Buenos Aires, created this cake. 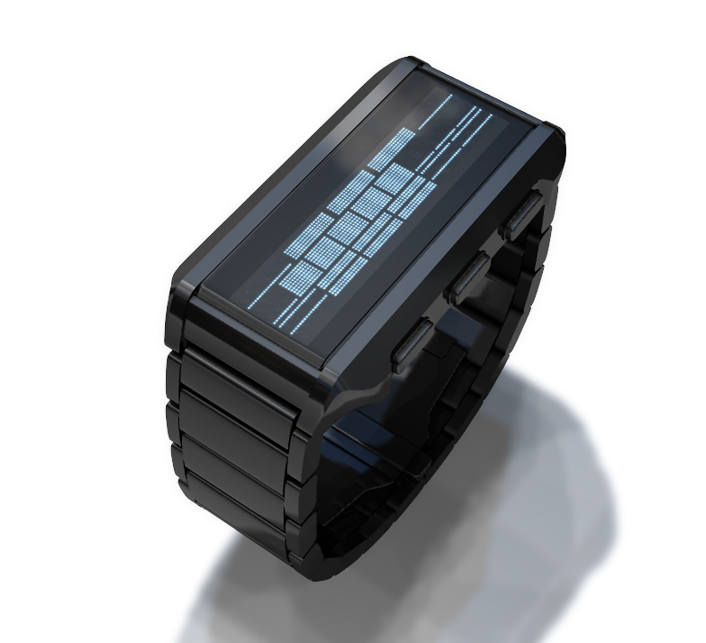 Instant Trend - Timepiece: This concept watch is Bluetooth-enabled and can pair with your smartphone and bring your twitter updates onto your wrist. 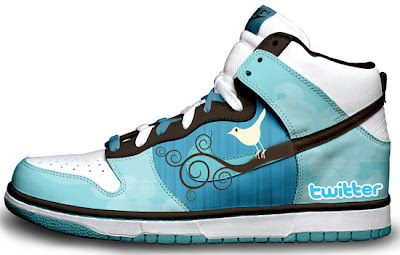 Twitter Sneaker: These come from the customized sneaker creation of D Reese. Twitter Pendant: These handmade pendant measures approx 18mm x 18mm. Don't miss to check out "Cool and Creative Twitter Inspired Products - Part: 1| 2."